We specialize in all types of brick, block and custom stone. (Natural & Artificial stone projects). We also offer cleaning, repairs and restoration of old masonry projects. 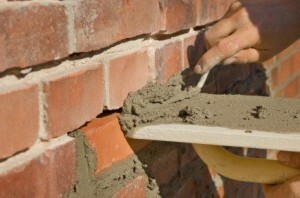 We supply many different makes of brick & stone, andoffer turnkey jobs to make it quick and simple for our customers. Masonry construction and stonework may be an old trade, but Atlanta West Masonry uses the latest technology in their brick and stone services to ensure the highest quality. Customer satisfaction is our highest priority. We are committed to providing you with quality construction with outstanding and superior service. Communication is also critical during the entire construction process and we work closely with all of our clients to keep them in the loop and to address any concerns. Our team’s vast experience will ensure that the products you select are suitable for your specific needs and they are more than willing to discuss this with you. Although, masonry projects vary greatly in scope, Atlanta West Masonry treats all of their clients with respect regardless of the size of the specific project. Rest assured, when your job is completed, you will be satisfied and we work hard to make sure you are. Design and build mailboxes, planter boxes, brick fences and columns. Design and install brick pavers and flagstone on patios and walkways. We provide vintage, residential, and commercial services. Our customers enjoy the color choices and options we can provide to help balance beauty, character, and reliability. We can specify all the details you need to know about how brick not only looks better with age in many cases, and that the durability through rain, hail, high winds, ice is practically unmatched. Contact us today at (916) 833-5526 and let us help you make the right decision on your brick or stone masonry needs.